"A Master Is Just A Beginner That Never Quit"
Mestre Boneco (Luiz Alberto “Beto” Simas) began training Capoeira at the age of eleven with Grupo Senzala in Rio de Janeiro, Brazil. From the moment he stepped into class he felt it was his art and his calling. For the next two decades of his life he trained diligently and made his name in the Capoeira community, developing into one of the most well known capoeiristas in the world. 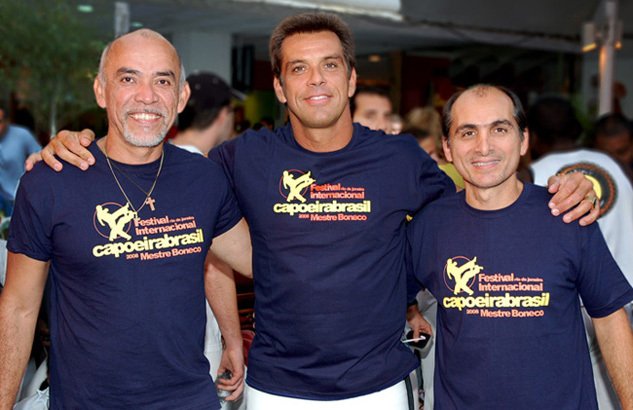 As the art of Capoeira spread internationally, Mestre Boneco‘s group Capoeira Brasil began to expand as well. The young master travelled the world teaching workshops in leading universities, presenting seminars and talks at many international fitness and martial arts conferences and performing in cultural shows. And instructors under his supervision began teaching outside of Brazil, spreading the culture of Brazil through the art of Capoeira. In 1989, after 19 years of dedicated training, he and his fellow capoeiristas Paulinho Sabía, and Paulão were recognized for their achievement in the Capoeira community and awarded their black belts by a council of Brazil’s most distinguished masters. After receiving their black belts, the three men went on to found Grupo Capoeira Brasil, an organization dedicated to the preservation, dissemination and development of Capoeira. The group solidified its presence in Brazil, working with youth and adults, running community programming and helping to promote the practice of Capoeira. As a teacher and leader in the Capoeira community, Mestre Boneco has always underscored the art’s physical and mental benefits, believing strongly that Capoeira is an art of transformation. 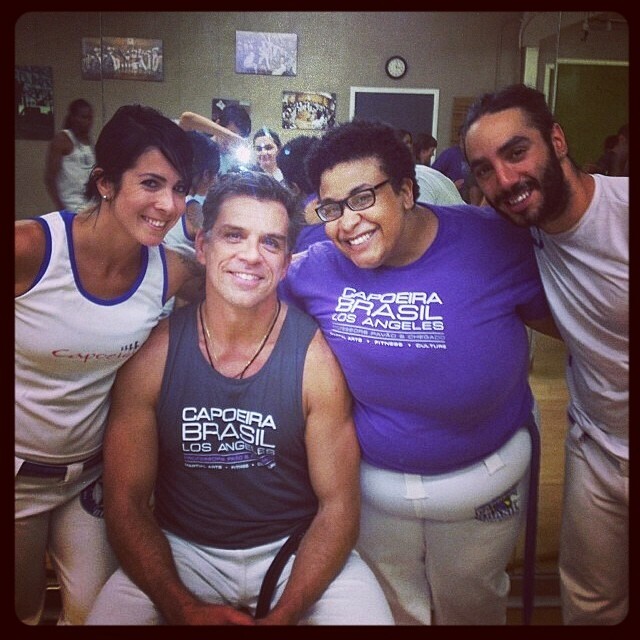 In 1998, Mestre Boneco moved from Rio to Los Angeles and Capoeira Brasil, LA (CBLA) was formed. In the years that followed the organization grew and evolved tremendously. Under his guidance, CBLA branched out into the entire Southern California community and helped to put Los Angeles on the Capoeira map. 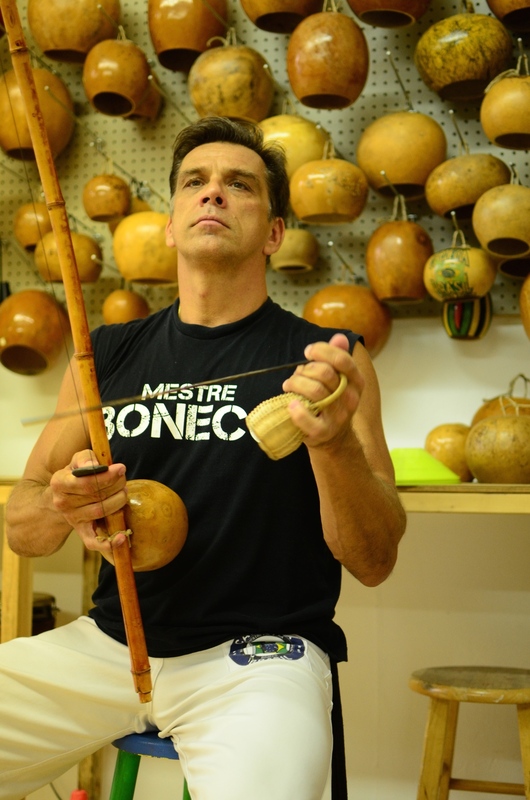 Mestre Boneco has produced countless international Capoeira festivals in Brazil and in the United States. He supervises over 70 teachers with programs in South and North America, Australia, Europe, and Asia. Mestre Boneco and his work have been featured on CNN, FOX news, ABC, NBC, KTLA, Telemundo and Univision news shows. In print, Mestre Boneco and his group have graced the pages of Men’s Fitness, SELF, and The Los Angeles Times. Additionally, Mestre Boneco has choreographed and trained actors for various motion pictures, national commercials, and stage productions. Most recently, Mestre Boneco produced and hosted an eight part documentary series on Capoeira and its influence around the world. He has returned to Brazil to focus on his non-profit organization: Projeto Ginga Brasil, which works to provide opportunities, training and guidance for Capoeira teachers.